25 years ago, Deadly Dragon Sound set out on their mission to spread their love of Jamaican music and culture. Since that time they have become an international force as selectors, retailers, label owners and radio hosts. Throughout this long journey, Deadly Dragon has defined itself through their devotion to the vinyl format and a deep appreciation for the incredible range of styles that make up the true cosmos of Jamaican music — from the early days of ska, to the heavy roots of the 70s, to the sparse digital of the 80s all the way up to the newest Dancehall selections from around the world. On June 3rd, Deadly Dragon Sound will celebrate their 25th anniversary with an event that includes an expansive lineup of artists that have helped to define them as well as a new crop of artists that are inspiring them. 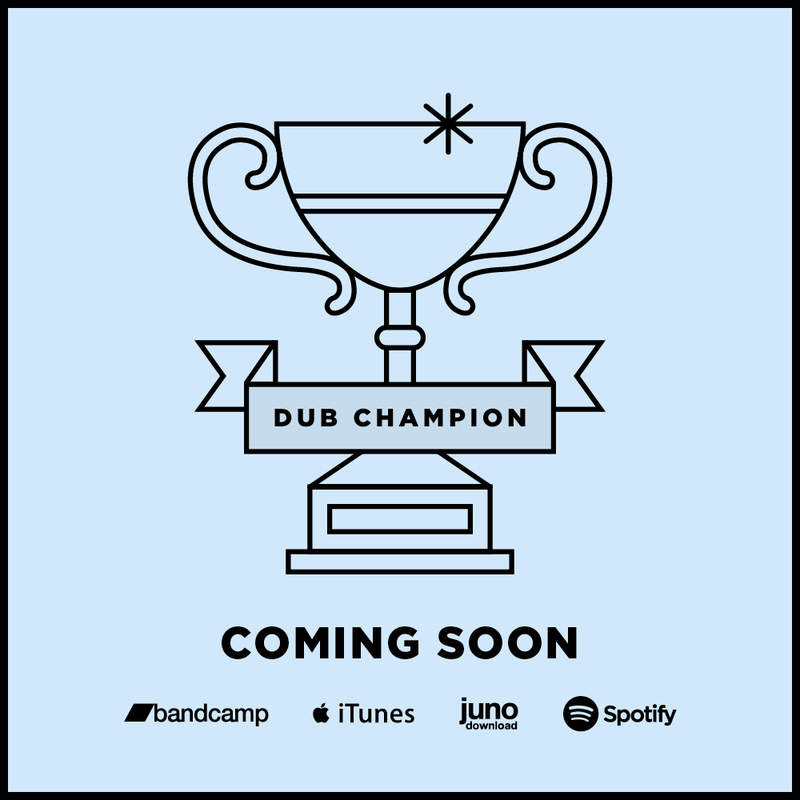 Deadly Dragon Sound selectors JD, JonnyGo Figure and Scratch Famous will be joined by the mighty Dub-Stuy sound system to power an incredible lineup of artists celebrating 25 years of Deadly Dragon Sound. of the iconic voices of Jamaica with his roots inflected hits of the 90s. such as Mungo’s Hi Fi. Screechy Dan – The Godfather of NYC reggae. Simply put, New York reggae would not exist without this man both as an inspiration and as one of the finest lyricists, singers and DJs in NYC. 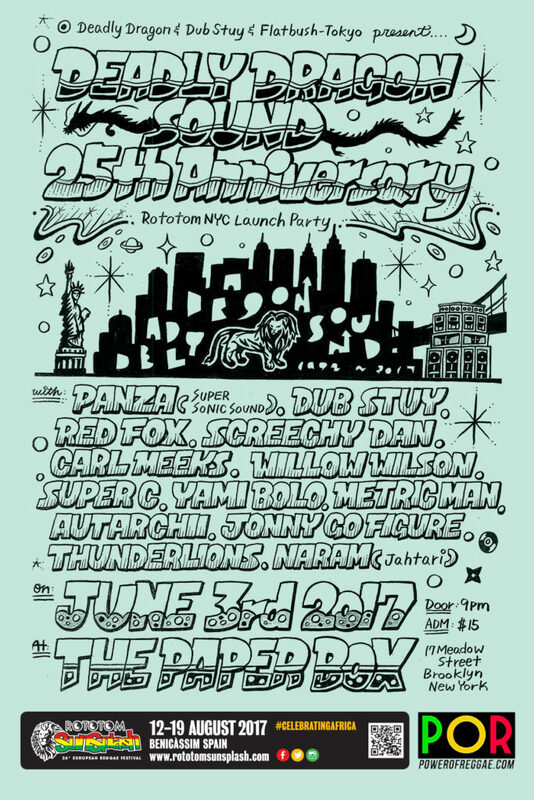 Red Fox – Alongside Screechy Dan and the rest of the Flatbush crew, Fox has built a career of anthemic hits that have defined NYC reggae. Super C – The original NYC BAD BOY, Super C defined an era with just a few tunes. We are more than excited to see him return to the stage. Naram (Jahtari) – Originally from New Zealand, Naram has become one of the premier producers of a new digital sound. With numerous releases with Jahtari, Colonel Mustard and the Red Robin Label, Naram has taken the urgency of 80s production and updated it with originality all his own. Willow Wilson – With hits spanning from the 1980s to new recording with Taitou Records, Willow Wilson is one of reggae’s great singers. Thunderlions – Up and coming in NYC’s reggae reggae community, Thunderlions weaves together the skanking vibes of the 80s with the grittiness of up-to-the-moment Brooklyn. Autarchii – Serious modern roots making noise now with the hit “SHASHAMANE LIVING” on Bent Back records. Metric Man – One of New York’s finest new artists breaking boundaries with his unique flow and conscious lyrical content that spans across musical genres.